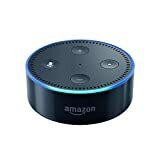 Amazon’s first device with the Alexa voice assistant was released exactly three years ago today. 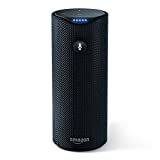 If there’s a better way to celebrate than with a huge sale on Alexa devices both from Amazon and from other device makers. 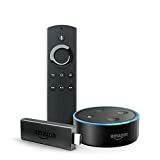 Today, for one day only, Amazon is offering killer deals on several different Alexa devices. 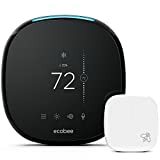 Highlights include $40 off the ecobee4 Alexa-Enabled Thermostat with Sensor, which can be controlled by Alexa but can also double as an Alexa speaker to take your commands and control other devices; $20 off a Fire TV Stick with Alexa Voice Remote + Echo Dot bundle; and a Eufy Genie Alexa smart speaker for just $25! 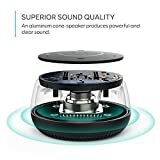 Check out all the deals on Amazon’s special Alexa sale page, and remember these deals are only good until the end of the day on Monday. Ask Alexa to play music, order a pizza, or provide information. With compatible smart-home devices you can turn on the lights, set thermostats, and more.